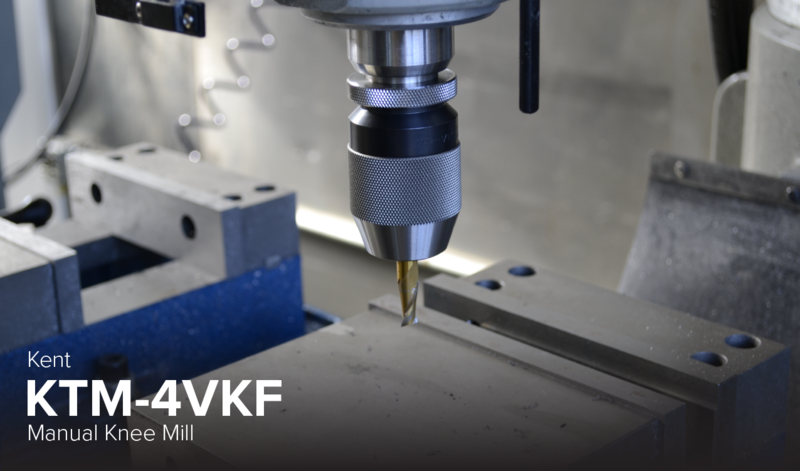 The KTM-4VKF Manual Knee Mill effectively cuts materials with its 3HP AC-freq drive head and 60-550-4500 spindle RPM (Hi/Low gear). It has a hardened and ground table surface which slides every direction. Table size 12" x 50"